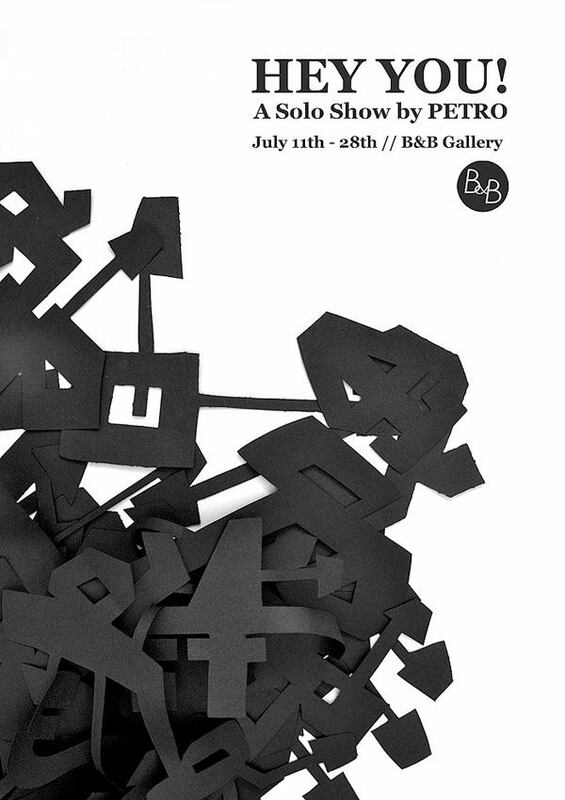 Bradbury & Blanchard is a gallery, screen-print studio and residency programme. The current exhibition is Hey You – a solo show by Petro. PETRO first caught the boogaloo-flu in the mid 1980’s and has made a career out of emptying spraycans ever since. With a pedigree spanning over four decades, PETRO lives a nomadic existence, creating art and exhibiting work worldwide. His unhealthy obsession with bending the laws of typography, identity and his ever changing environment continue to inform his eternal quest for the perfect narrative – steeped in nostalgia, with a slightly unnerving Ralph Lauren fetish.